Jim Hertzog skillfully modeled the function of the coal mines in Pennsylvania. Before the impressive layout came to fruition, there was an extensive amount of track planning. Jim put a lot of thought behind his layout, and pulled inspiration from various means. The concept of the layout completely evolved during the planning process. 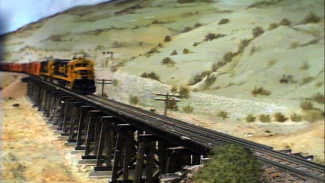 In fact, the original model railroad design was going to be a 10 mile section, but ultimately expanded to 40 miles between Tamaqua and Shamokin. 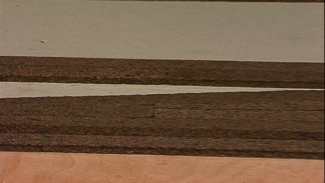 The comprehensive track quadrupled in size somewhere between the planning and constructing phase. With careful crafting, Jim expertly modeled the Reading in Northeastern Pennsylvania. 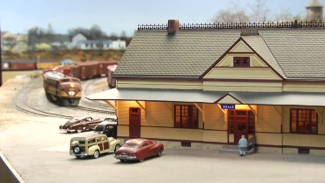 In this segment, Allen Keller visits Jim Hertzog’s basement to discuss the planning process and the inspiration behind the Reading model railroad design. During the exchange, Allen asks Jim several insightful questions about how the Reading developed. You’ll learn why Jim chose to limit himself to the route of Tamaqua to Shamokin and about the particular focal point on the steep grades of the layout. After, Jim addresses the advantages and disadvantages of modeling a time period that ranges from 1952 to 1957. Jim also explains why he decided to convert from initially modeling the Lehigh and New England to the Reading and how it enabled him to expand and explore different types of train compositions. After researching and modeling both rails, he has become quite the expert in both. Jim’s initial inspiration for the Reading stems from memories of watching the first generation engines on the Reading as they passed through his hometown. He grew up living near the tracks, but even with this first hand experience, he still sought out information and inspiration in other ways. In addition to his childhood memories, Jim discusses with Allen the various methods in which he found inspiration for his model railroad design layout. It’s clear that Jim Hertzog is a talented model railroad designer. Through his experience and practice he has developed an abundance of advice to share. Listen as Allen and Jim discuss the planning process and inspiration behind the Reading for a bit of guidance in your own model railroading journey.